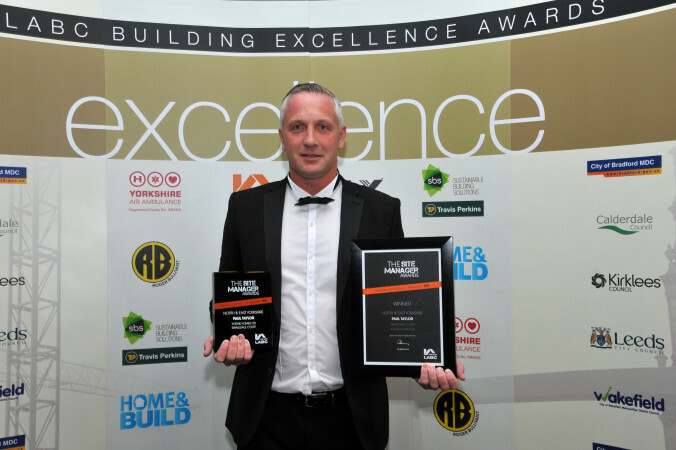 LABC awards success for Paul Taylor, Construction Manager at Yorvik Homes. Paul is a 2016 Finalist in the LABC awards for ‘Best Regional Site Manager’ for the North and East Yorkshire Region. This award recognises the highest standards of workmanship and construction. Paul sets and maintains the highest standards on behalf of Yorvik Homes and became a finalist in the Awards which took place in June 2016 in York. Paul has also previously being a Finalist in the 2013 National Awards and was the Winner of the North and East Yorkshire Region in 2014, followed by gaining a ‘highly commended’ certificate in the National Awards in London that same year. Congratulations to Paul Paul is a true ambassador for Yorvik Homes and the industry, and helps set Yorvik Homes apart from others in terms of their quality of workmanship. Well done Paul from all your colleagues.